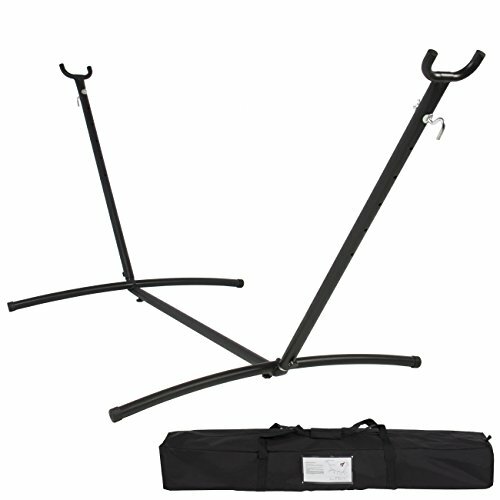 Mounting hardware, stands, and straps to get you hanging full time. For the easy setup. Can be used for years without issue. 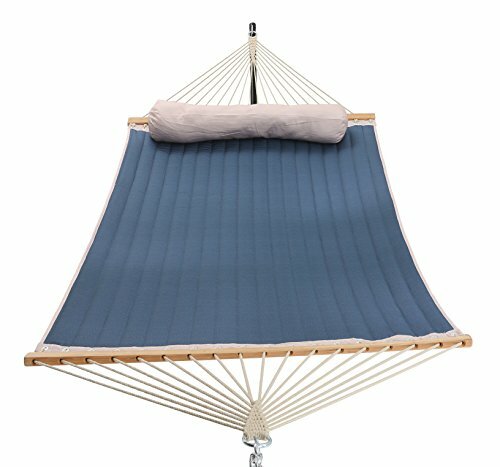 This is the exact hammock bed stand I am using right now and I love it. 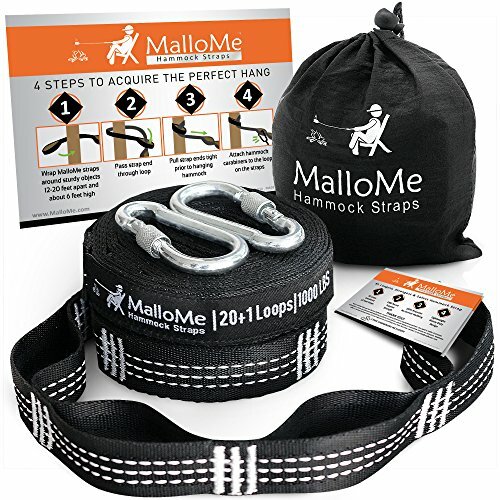 If you are looking for something to permanently attach somewhere in your home I suggest these 1000 lb heavy duty hammock hanging kit. 1000 lbs is way more than you are ever going to need, but they are cheap so why not? 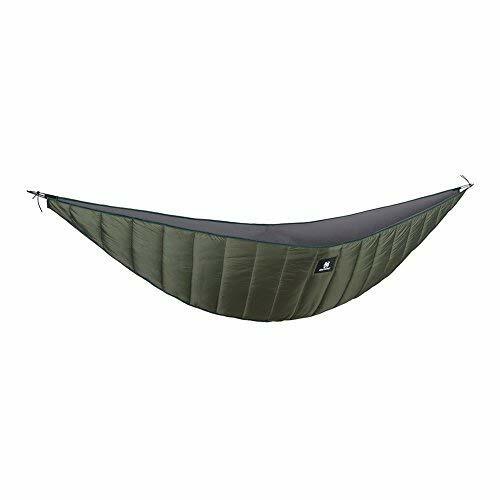 Cheapest double hammock beds are the nylon hammocks. 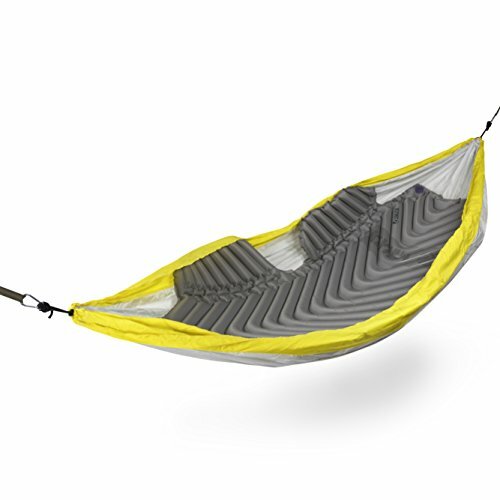 These are great for someone who just wants to give sleeping in a hammock bed full time a try. 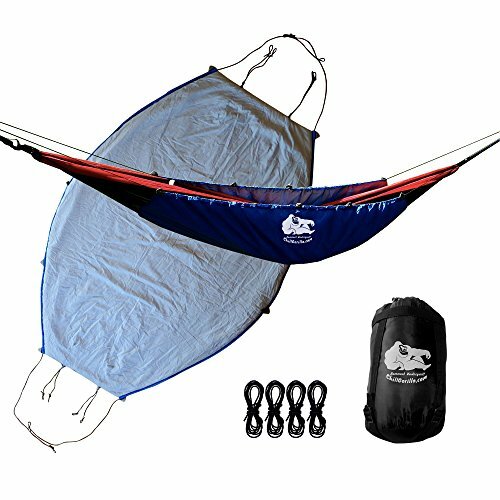 If you have a place to hang your hammock then this kit would be the only thing you needed. Easy to clean and will last for years. Not as quiet as some of the other options below. 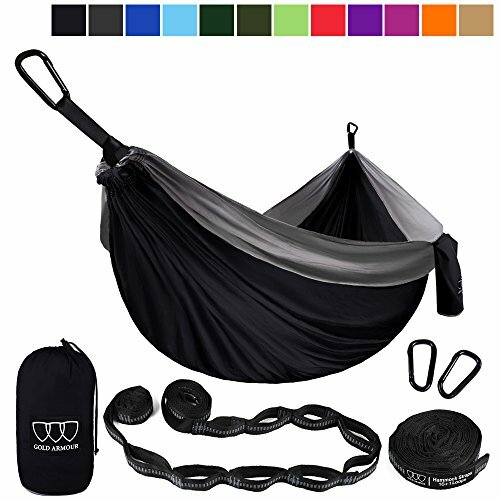 The brazilian hammock bed will work as a bed as well, but they are more pricey, and do not come with the hardware like the nylon so those would have to be purchased separately and can be found on the left had side of the page. 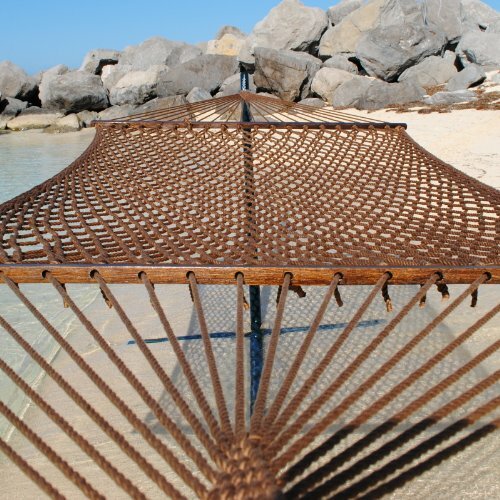 I think this will probably be my next hammock bed. They are more expensive, but they are super comfortable. 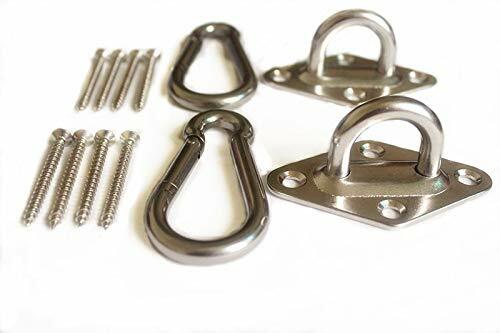 Once again these do not come with any hanging hardware whatsoever so they need to be . These types of hammocks probably shouldn’t be used to sleep full time in. I have no experience doing it, and it may be possible, but they are probably not going to be as comfortable as the double hammocks above. 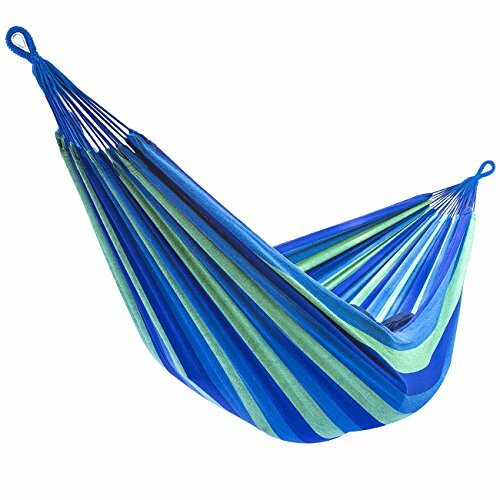 That being said, in terms of yard or pool hammocks, these kind would be great for relaxing out side which is a great stress reliever. If you sleep in a hammock and it is 50 degrees or less you are going to have a cold booty so make sure you have some sort of underquilt to keep your backside nice and warm. I made my own, but they are now available to purchase. Some people prefer to use hammock pads while sleeping in a hammock. 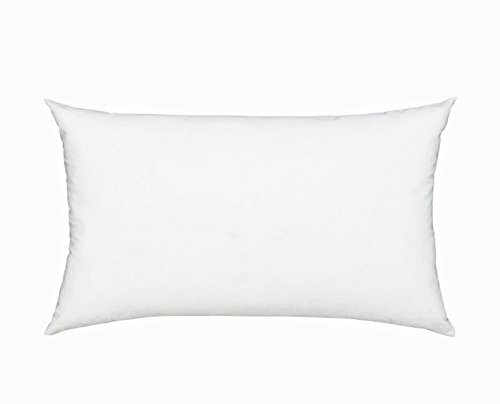 They provide some insulation, and a softer cushion between you and the hammock. For those of us older people, having a pillow under the knees can add a lot of comfort to sleeping full time in a hammock bed. I have been sleeping in a hammock full time for almost two years now. I’ll never go back to a bed.